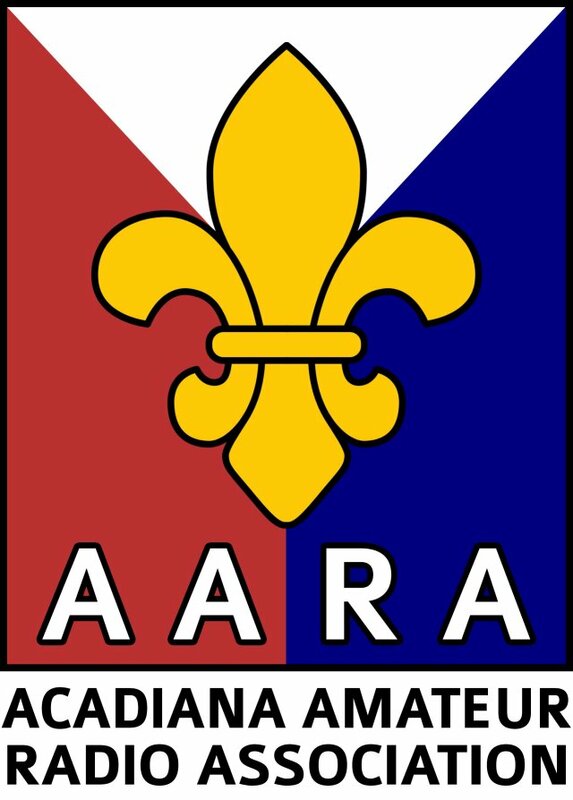 Helping keep Amateur Radio alive in Acadiana! Amateur Radio Supplies LLC - Quality Products, Fast Shipping! Maxcon-Antennas - Antenna manufactures of wire antennas and accessories. ASTRON Power Supplies - Schematics & mods for most ASTRON supplies. Maker Pro - A Maker Community, Supporting You from Concept to Creation. Meeting People With Ham Radios - Lots of information and links on ham radio here. Createqr.org - A Closer Look At Morse Code. Enclosures & Cases Inc. - The leader in precision enclosures. Ham Radio Resource Guide - Lot of information & links found here. AppliancePartsPro.com - A lot of information on radio "do-it-yourself" projects. ROHM - Design and manufacture of integrated circuits (IC's), semiconductors and other electronic components. Wire Antennas for Ham Radio - Dimensions for just about any wire antenna for any band with drawings. And on the left side you will see links to Classroom Presentations (in PowerPoint) for Tech and General, as well as links to practice exams for Tech, General, and Extra class. If you don't have PowerPoint, there is a link for a free PowerPoint Viewer. In each of those two links you will find both the separate chapters, as well as a zip file containing all of the chapters. Here's what to do... study the study guides a few evenings. Then begin doing the W5DDL classroom presentations. You can do one or two a night. Also begin taking the practice tests. With all of those sites, each time you take the test it will have a different random draw of questions from the question pool... just like the real test you will take. I would also suggest you take the practice test on a different site each time. This will help you get used to the appearance of the test being different, just as it will be when you take the actual test. Take two or three (or more if you have time) of the practice tests each night after going through a chapter from W5DDL. By the time you are finished with the W5DDL classes you will be ready for the Tech test, and you will pass. When you are confident that you will pass the Tech, and are passing by 90% or more, begin study for the General. If you are smart enough to pass the Tech, you are smart enough for the General, too. With the General comes greatly expanded band privileges. Keep up with studying the Tech guides and the practice tests, but add the General.